It's time for Kindergarten Registration for Fall 2019! Congratulations to this year's Excellence in Teaching Award winner Lori Saylor! Welcome to the Gill-Montague Regional School District! We are a regional school district in western Massachusetts serving preschool through high school students from Gill and Montague, as well as grades 7 through 12 students from Erving. We enroll just under 1,000 students in three elementary schools and one combined middle and high school. Gill Elementary serves students in grades K-6 with one classroom per grade level. In Montague, Hillcrest Elementary enrolls students in pre- school through grade 1 and Sheffield Elementary serves students in grades 2 through 5. Great Falls Middle School is home to students in grades 6-8 and these students share a building with our Turners Falls High School scholars in grades 9-12. The district provides comprehensive, public school programs and services delivered by highly qualified faculty and highly dedicated staff who strive to live our mission of challenging and supporting every student. We have a rolling school choice program, so we are able to enroll new students throughout the year at many grade levels. We encourage you to explore our website and, better yet, come visit us in person. Please don’t hesitate to contact any of our schools or offices to arrange a visit or an introductory meeting. I am often asked how snow day decisions get made by school districts. As you would expect, our decisions are driven by concerns for student, staff, and family safety. Here is some more information on that topic. 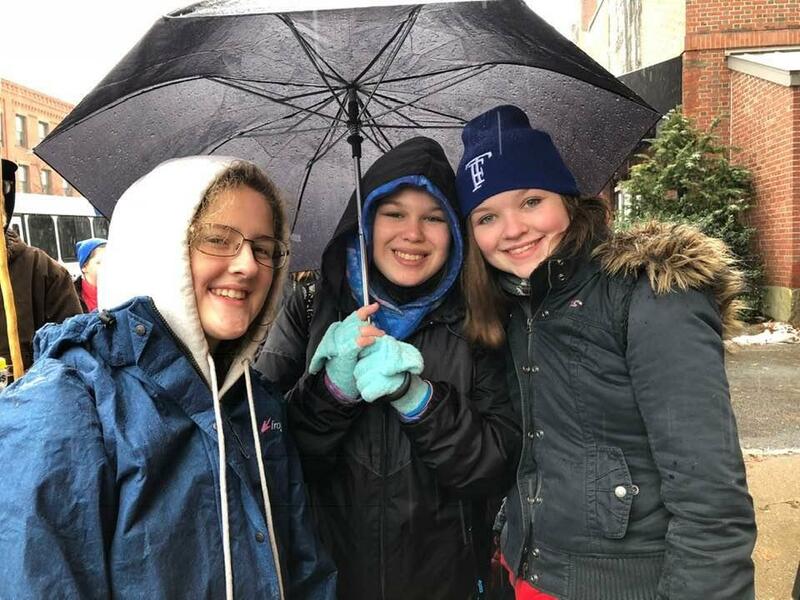 These Turners Falls High School ninth-graders participated in Monte’s March in the rain and snow on Nov. 20th! We welcome comments and suggestions from parents and community members. Click the button below to submit them, and we'll direct them to the right person.